Bohemian rocker pants with a classic straight leg cut for every day or for special occasions. Made in rich, soft black on black tapestry fabric with a medium rise waist and wide belt loops. Two front pockets and two back pockets with a zip fly. Black satin pocket lining inside. These run long.. have them hemmed if necessary. Comes in sizes 30,32,34,36,38,40. Sweeeet! 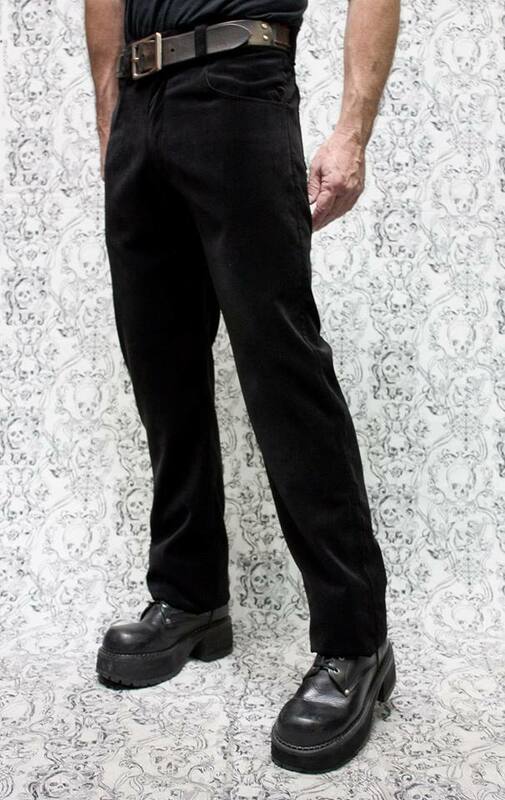 ROCKER JEANS – BLACK EDWARDIAN BROCADE.